I begin this column with some bad news. My dear, stout-hearted friend and invaluable, steadfast colleague, David Curry, who was the publisher and founding spirit of this site, and who ran the business side of Russia Insider, of which I am editor and publisher, has been sidelined by a health crisis, which will prevent him from working for at least a few months, and perhaps longer. David is still very much with Russia Insider, and we hope that he will be able to resume his work in the coming months. His contribution has been invaluable, and all of us owe him a great debt of gratitude for what we have all built together. Russian Faith has been receiving a steady stream of messages from readers asking why it has not been publishing since early January – now you know the reason. It took some time to get a prognosis on David’s health, and to figure out what to do with Russian Faith, and this explains the lapse. David has asked me to take over publishing Russian Faith in his absence, and to do what I think best for its survival. This I am glad to do, for what he has built is not only very precious, but important and needed. As a close friend and colleague I encouraged him greatly to embark on creating Russian Faith, and provided support and help where I could. I would have done more if not for time constraints. In fact, the creation of a site like this was something we had been discussing ever since we started Russia Insider. David and I share an insight which we both want to share with the world – as two Americans living in Russia who were Orthodox Christians, he raised Orthodox, and I a converted Episcopalian, we had front row seats at the extraordinary Christian renaissance happening in Russia. Building Russia Insider galvanized our thinking on this – we had become intimately familiar with the relentless disinformation about Russia which is so rampant in the media, and came to be very familiar with its style, its nature and techniques. It is clear to us is that this disinformation is just as acute when it comes to what the media says about Christianity in Russia. (The media is Christophobic in general, but doubly so when it comes to Russian Orthodoxy.) 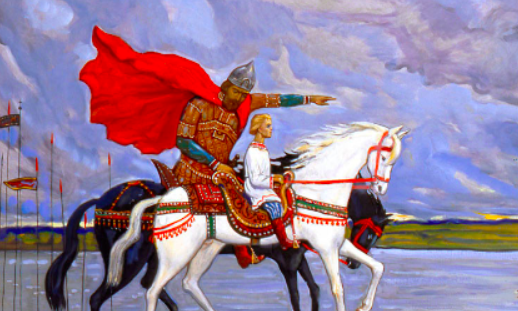 It seems to us that the Russian Christian renaissance story is extremely positive. What is more, it is a great big, colorful, moving, gripping, human saga, with huge political, cultural and historical implications that are more or less being completely ignored by the media. To the extent we can, we cover this on Russia Insider, but our audience there is mostly secular, and it seemed to us that there was much more to the story than we could fit in RI, thus the idea to create Russian Faith. I have been cheering Russian Faith along, and watching its development with great interest, discussing with David and thinking about what it might grow into. I have been lucky to have been able to discuss this question with some very intelligent and well-informed Christians, Orthodox and other, both in America and Russia. 1.) Russian Faith will continue in its original mission, which is to show the positive side of the Christian story coming out of Russia. Indeed, I am convinced that especially on this subject, Russia has a great deal of value to share with the world, at a time when it is very much needed, if the world would only listen. It seems to me a great historical irony that the most ancient form of Christianity, Orthodoxy, should have somehow been conserved, as if in a time capsule, in Russia, of all places, with its tragic century of bloodthirsty Christian persecution, resuscitated and brought back to life, and implemented in this dynamic country and great power in a completely original way – differing quite markedly from Greece and other majority Orthodox countries. 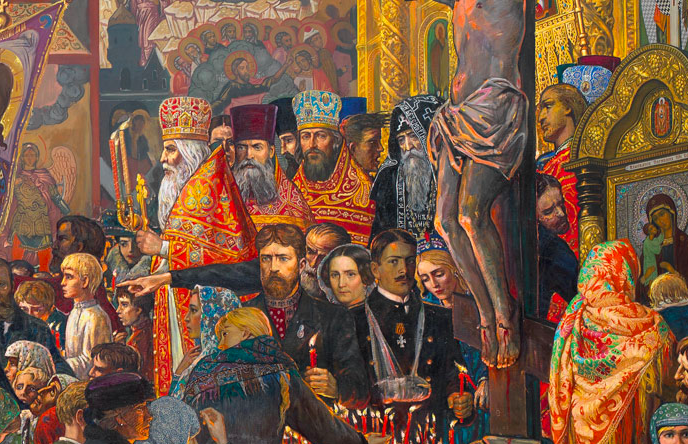 The Russian experience in reintroducing Christianity into a country which had all but dispensed with it is a like a great seam of gold, waiting to be discovered by the West. This rebirth is now 30 years old, a full generation, and it has brought forth many great men – thinkers, theologians, preachers, elders, monks, and church leaders. The volume of great books, research, and film which has been produced is in itself a treasure trove of wisdom and knowledge. One comes across them all the time in Russia – on TV shows, in sermons, in popular culture, on Youtube and social media, in proverbs, in films, in academic lectures, in a mighty and seemingly endless stream of books coming from Christian publishers. How I wish more people writing about Russia understood Russian and were open to this world, for it is wealthy beyond compare. This should remain the first mission of Russian Faith. 2. I would like to open a second vista on this website – to host a discussion about how to bring Orthodoxy back to Europe (and to America), where it existed for centuries before the schism – it is the true, original European form of Christianity, and how to bring it back to the broader masses, outside the small ethnic enclaves it currently inhabits. Most Americans and Western Europeans, including many Christians, do not think of Orthodox Christianity at all, and many don’t even know what it is. Others have heard of it and envision something distinctly foreign. There is the confusing term ‘Eastern Orthodoxy’. It brings to mind something very foreign to Anglo-Saxons, - bejeweled mitres and robes and much to-ing and fro-ing and bowing and crossing and incense swinging and chanting in unintelligible languages and baffling melodies. It seems oriental and exotic and hardly something most Americans or Western Europeans are likely to adopt as their own. But beneath that exotic veneer, there is a very robust, appealing faith, vital in a way much of contemporary Protestantism and Catholicism has lost. The aesthetics it acquired from Byzantine, Greek, Russian, and Syrian culture, are not the important part. What is important are the ideas and the teachings, which, when you encounter them, seem as modern and fresh as they did when they were first articulated by brilliant men steeped in Greek and Roman learning, in the first 3 centuries AD. I believe that America and Western Europe would benefit very greatly from bringing Orthodoxy back on a broad scale, but that aesthetically it should reflect Western European traditions, not those of Greece or Constantinople or Kiev or Moscow. Christianity succeeds when it is integrated with, and reflects, a people and a nation, and fails when it attempts to be universal. All of the Orthodox countries have national churches with autonomous Patriarchs (leaders), who are equals in doctrinal authority. These churches each reflect the national genius of its people, and task themselves with keeping the faith in a way that makes sense to that people. The Reformation was as much a nationalist movement as it was a religious one. A nation’s culture takes shape in the forge of ethnicity and religion. The Latin root of the word culture is cult, i.e., religion. The reason our contemporary Western culture is so perverse is because it has ceded its Christian element. We are living in an age that very much resembles the Reformation – for the main driver of that process was the emergence of a new technology, the printing press, which broke the establishment’s ability to control what information people had access to. This coincided with a particularly vile corruption and departure from Christian ideas in the Catholic church. The two collided and a papal political hegemony which had lasted for centuries came undone in a few years. The parallels to our own age are striking, in both politics and religion. But the differences are stark too – the access to information today, and instant communications creates conditions that equal the Reformation x 1000. Then as now, one of the side effects was increased nationalism and separatism. As a former Protestant, it makes sense that I would find this subject important, and that I would have a sense of how to frame it and moderate it. Indeed, I would like to address these questions primarily to Protestants in both America and Europe, for I understand them better, and because I believe they are doctrinally and spiritually closer to Orthodoxy than the Catholic church. Let's have an active discussion of this question in the comments section below. I am very curious to know what others think about these issues. My experience on Russia Insider has been that the comments section can sometimes be an extraordinary source of light and knowledge, so please do not hesitate to share your thoughts with us. You can find a lot of information about me by searching in Google, and to see what I am like in person, there are many videos of me on YouTube. For a more Christian perspective, people might find this article (in English) from the largest Orthodox website in Russia, Pravoslavie.ru, interesting. Also, here is a 45 minute talk I had recently with Fr. Dmitry Smirnov in Moscow, in March of 2018. It is only in Russian. We didn't discuss spiritual issues, it was mostly politics. And here is a recent interview I gave to the American Red Ice TV channel - its all politics about Russia, not much about Christianity. 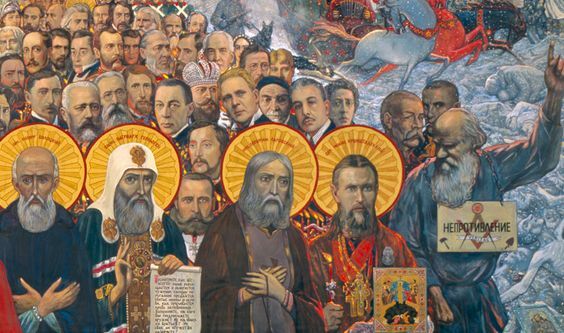 I would like to at least begin this conversation on Russian Faith – logically, it probably shouldn’t stay there, rather eventually find a home of its own, but it is a place to start, and the Russian experience, I think, will make for a fertile backdrop. If you would like to contribute an article on the subject, or have advice or ideas, please be in touch with me at charles@russian-faith.com. I am most serious about this appeal - the success of Russia Insider was built on a great deal of connectivity and interaction within a community of like-minded people, and I well understand its power. Please do reach out to me if you can add to this discussion in any way. This subject is of great interest to me and I wish I had more time to study it and write about it, but running Russian Insider is time consuming, and I cannot give Russian Faith the attention it deserves. If Russian Faith is to amount to something, it will have to find a strong personality to lead it. The most I can do is suggest a course and provide the ship – someone else will have to sail it. Therefore I have decided that I will do what I can to keep Russian Faith operating at some minimal level, while publicly announcing that we are looking for an editor to lead her. I have no timeline to find one, but I have no doubt that if this was meant to be, the right person will find us. Please be in touch with me directly at charles@russian-faith.com with any applications, recommendations, advice, or ideas. There is no location requirement for this job. I live in the New York City area, and it would be an advantage to be in a similar time zone to me, but even this is not essential. Nor is knowledge of Russian required, although it would obviously be an advantage. We will shortly be launching a fund drive to cover these minimal costs, and to create a fund from which to hire an editor. 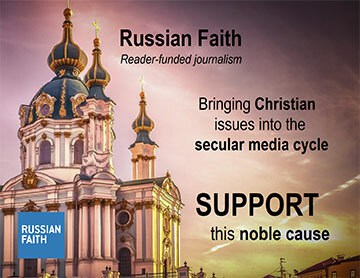 If you admire what Russian Faith has done so far (I certainly do), and want to support me in achieving the goals outlined here, then please give as generously as possible. Russian Faith was launched in September of last year, and in November, David made a public call for volunteers, and the response was strong, both in the West and in Russia. There is a huge amount of excellent content about Orthodoxy and Christianity already in existence in Russian – both print and video, and making it accessible to Western readers – translating it, captioning it, uploading it to YouTube, etc, often does not require fluency in English or a high degree of technical ability. So volunteers doing small jobs here and there in their spare time under a good coordinator can achieve a lot. David’s health problems caught up with him just as these volunteers wrote in, and they are still there, still offering to help. I mention this, because it is a significant resource that properly leveraged could result in a lot of good material. If anyone reading this would be interested in helping us with this, please be in touch with me at my email above. Other areas we need help in are social media and fundraising. It is quite amazing to me that in just 3 short months, 4000 people joined the Russian Faith email list. If someone is good at working with such lists, please be in touch with me. And, speaking of email lists, if you are willing to receive updates, occasional notes from me, and fund drive appeals, please do give us an email address where we can reach you. This is far more effective than trying to reach you by social media or on this website. I can assure you that I am not being conspiratorial in the least here - It is simply a sad truth of our times that our own government, in tandem with the leading tech companies (Google, Facebook, Twitter, and Youtube) are openly hostile to Christianity, and actively seek to mute the message of sites like this, by limiting our reach on social media, not showing us in search results, and many other techniques. But they haven't taken the extreme step of messing with email, so it remains the most reliable way for us to reach you. I would go even further, and say that by sending us an email address, you are doing your part to push back against a creeping (and creepy) censorship, and standing up for freedom of speech, and freedom of thought. We, of course, will never use that address for any other purpose than to get in touch with you about Russian Faith. I think that takes care of the housekeeping issues. Let me close by again applauding David for what he was able to build in just 4 short months, and wishing him a speedy recovery and return to his stand, and ask you to pray for the same. In the meantime, we will not let his work fall by the wayside. P.S. And please do share your knowledge and insight in the comments below. I want to stress again how powerful community-sourced information can be. And don't hesitate to criticize and disagree with me. I welcome that in particular, and believe me, I am used to it.